The British Department for International Development has come under fire after it confirmed this week that almost half a million pounds of its humanitarian supplies were pillaged by militant group al-Shabab in Somalia. The department is present in some of the most fragile environments, like the Democratic Republic of Congo, Somalia and South Sudan. Aid groups try their best to secure their warehouses — as much as staff members — in these countries, but the reality is that full security is just impossible. George Fominyen, public information officer for the World Food Program in Juba, South Sudan, told Devex that the agency puts up fences, lights and hire extra security guards to protect its facilities, and expects NGO partners to do the same. “If you’re in a very challenging circumstance — where we are — where there’s ongoing conflict, it becomes quite challenging to protect warehouses in conflict situations … We appeal to armed parties involved to respect humanitarian spaces, including these warehouses. But in cases where you have towns or villages overrun by various parties of the conflict, it becomes a real challenge to manage that. And that is what sometimes we unfortunately face,” he explained. The U.N. agency does vulnerability and security assessments prior to prepositioning supplies, to ensure that security risks and people’s humanitarian needs are taken into consideration as early as possible in the planning stage — but Fominyen said there are certain factors, like armed groups overrunning facilities, that no one can predict. 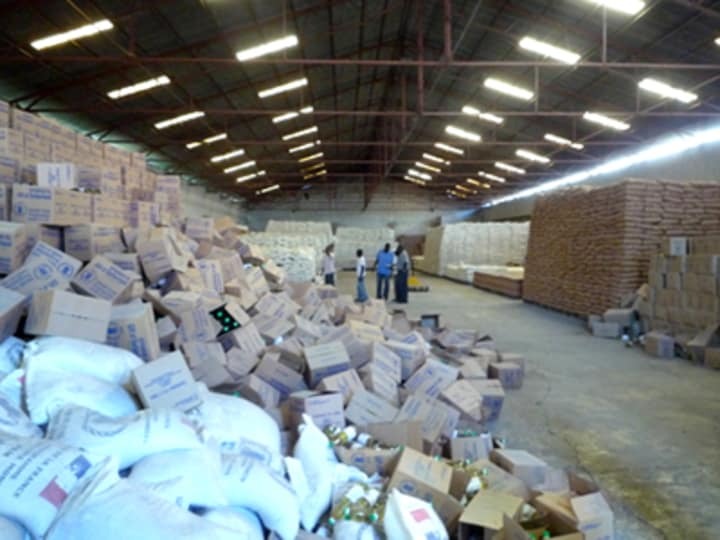 In May, armed groups, suspected as members of the Sudan People’s Liberation Army, ransacked two WFP warehouses containing food supplies and other humanitarian commodities in Pibor county. Donors, Fominyen said, are informed of any incident of looting on the ground. For WFP, this is imperative, as it relies solely on voluntary contributions, and the agency must appeal for further assistance to fill in any shortages in aid supplies. In South Sudan, WFP has a share in the 15 million pound humanitarian support package from DfID, which is due to end this September, and in the 13.48 million pound DfID-funded food security and livelihood project for 2012-2015, according to DfID’s development tracker.